In addition, the layout file can also be projected on to the sheet so that print registration can be checked and adjusted, removing the need for overlays and print minis and moving the process from paper to digital. 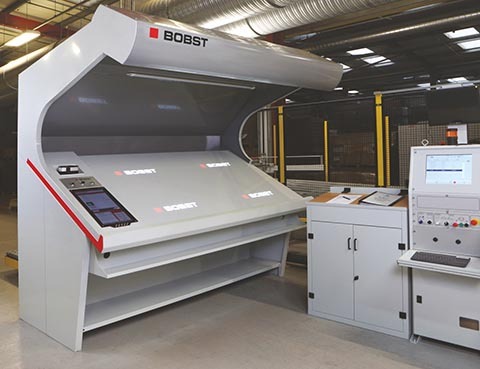 Raphaël Indermühle, Head of Sales and Marketing Business Unit Services at BOBST, said: “The Digital Inspection Table is at the leading-edge of quality control technology and is another step in the development of digital innovation and services at Bobst. The Digital Inspection Table offers a range of features, including warp analysis, automated quality tracking and performance management. These features are designed to provide a sophisticated methodical system, enabling and promoting higher quality production.